Midnyte Reader: Book Blogger New Year's Challenge - January 3, 2014. 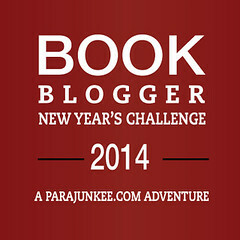 Book Blogger New Year's Challenge - January 3, 2014. 3. The Books of 2013 I'm sad I missed. Well, I don't feel like I missed anything. That's the beauty of books. You can always read them at any time. However, I do realize that sometimes you feel like you missed the boat. And then there's the books and series you plan to read, but over the course of time you hear how they end and then you're not sure you want to read them anymore. How do you feel about this? Do you have books you feel like you "missed" or do you just read them at your own pace? Labels: Book Blogger New Year's Challenge. I felt like I missed a lot that I would have gotten to if I wasn't on an award panel. I did however, make a pretty long list, hopefully will squeeze them in this year. I agree... Sometimes I feel like there is such a hype about certain books that I just HAVE to read them to find out what everyone is so excited over lol. Good point! I don't feel like I missed anything last year, but mostly because I wasn't paying attention to the new releases. "And then there's the books and series you plan to read, but over the course of time you hear how they end and then you're not sure you want to read them anymore. " That one happens to me a lot. I'm excited to read something then time passes - people aren't happy with how the series ends etc and I just move on. I dont' feel like I missed anything but there are always a few books that have been I'm my shelf for a long time that I would like to make a point of getting to. @Kristen-I'll definitely check out your list. @Tabby-Hype usually has the opposite effect on me. I grow suspicious and wait a while to decide to read it. @Alexia-I don't pay a lot of attention to new releases either. I guess if I made an effort I could, but I just wait till I either see them in the bookstore, or being reviewed on other people's blogs. @Karen-I move on a lot too. Or rather just get distracted by other books. I have a lot of books I want to get to as well.